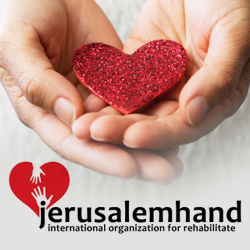 The international organization “JerusalemHand” (JHO) of public employees, which seeks the rehabilitation of victims, is seeking support to continue their good work. The organization that was created in 2013, works with more than 100 rehabilitation centers located in all regions around the world assisting victims of natural disasters. The organization not only helps the victims they also help the victim’s families and has become an important service to people in need.